*This item is in-stock in our warehouse and can be delivered today if ordered before 1pm or tomorrow if ordered after 1pm. Please note, we do not deliver on Sunday or Monday. Call store for details at 928-344-5113. 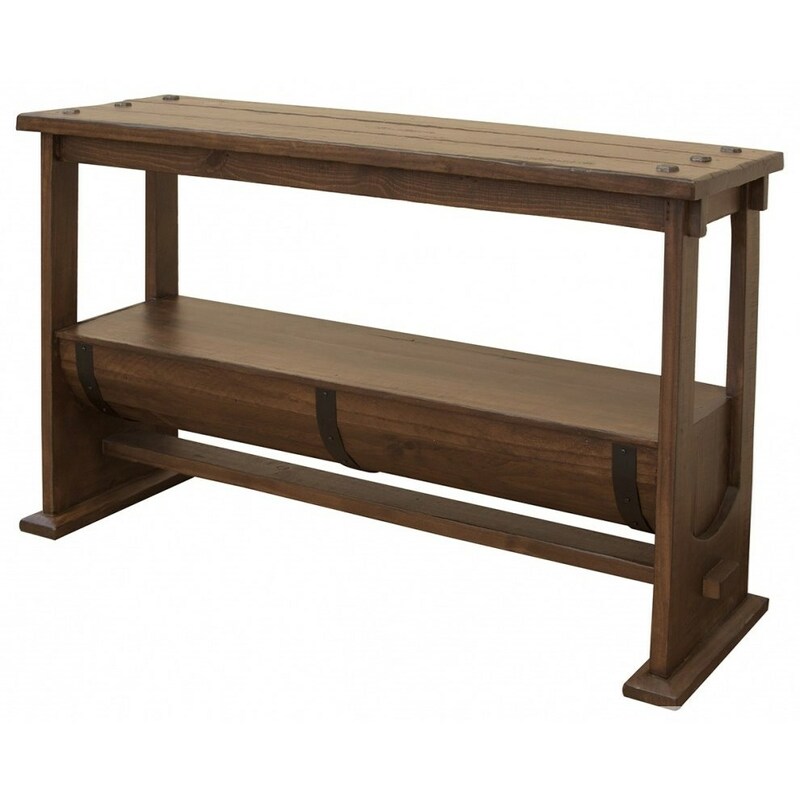 The Bourbon Industrial Barrel Console Table by International Furniture Direct at Houston's Yuma Furniture in the Yuma, El Centro CA, San Luis, Arizona area. Product availability may vary. Contact us for the most current availability on this product. The Bourbon collection is a great option if you are looking for Rustic Industrial furniture in the Yuma, El Centro CA, San Luis, Arizona area. Browse other items in the Bourbon collection from Houston's Yuma Furniture in the Yuma, El Centro CA, San Luis, Arizona area.